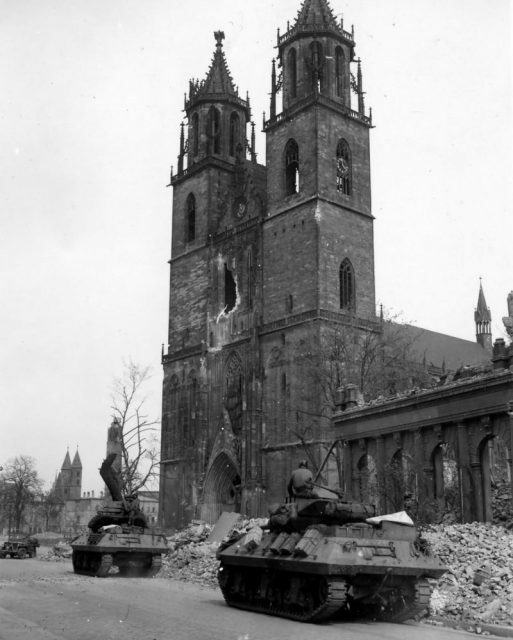 While establishing its famous Tank Destroyer doctrine in 1941, the United States Armed Forces needed a standardized armored fighting vehicle which would lead the way to victory against the divisions of German cutting-edge panzers which sowed fear across Europe, deeming themselves invincible in the face of any opponent. 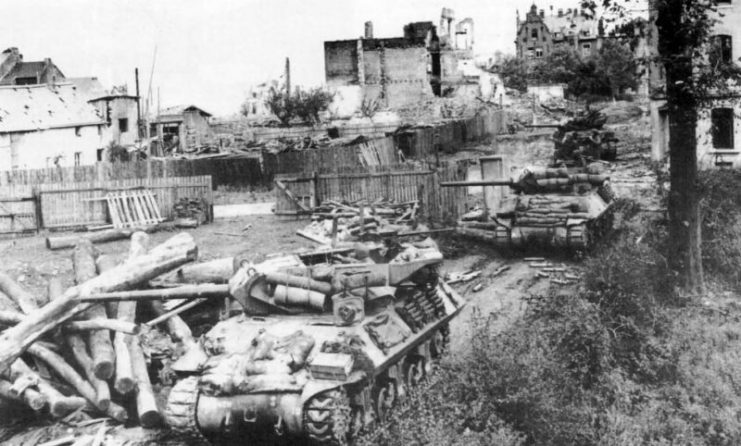 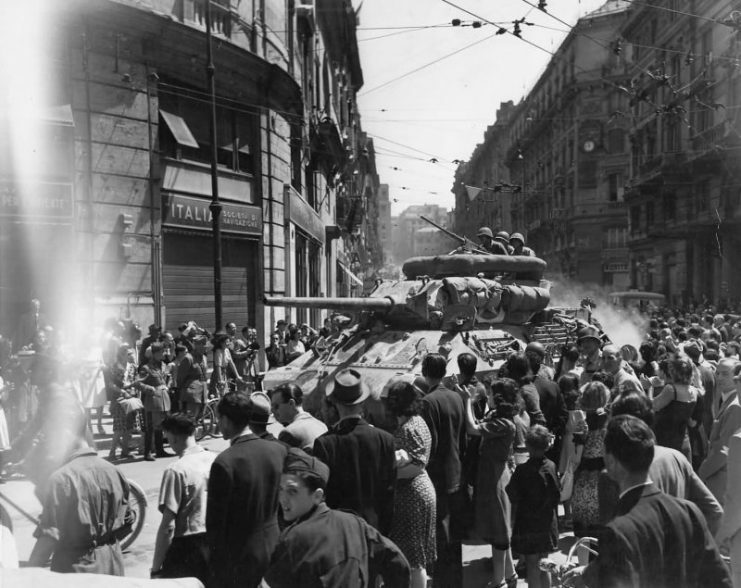 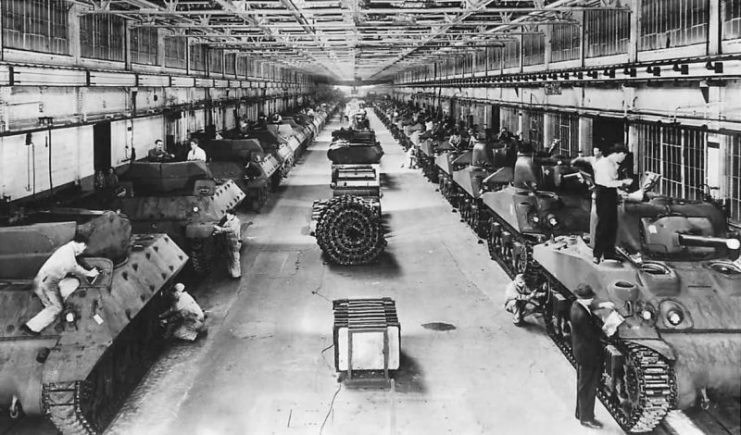 As the U.S.A. entered the war at the end of the year, it became apparent that a large part of armored warfare was to be bestowed on its troops. 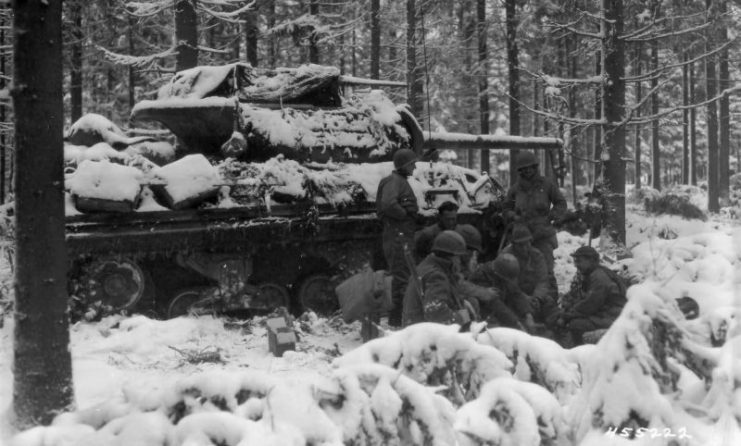 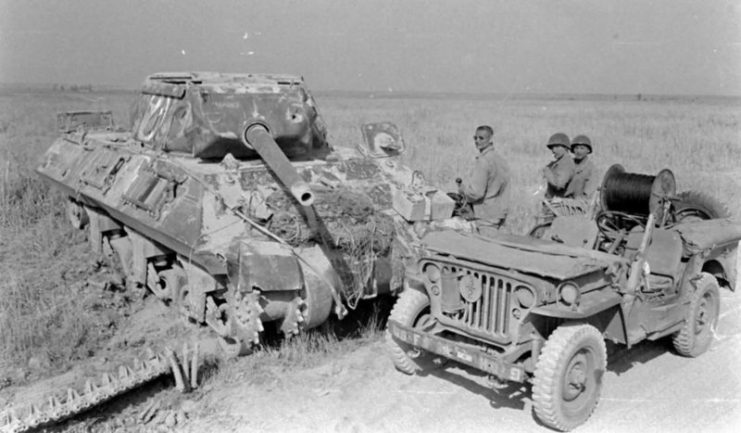 Thus they developed various ambush tactics and adapted their tank destroyers accordingly. 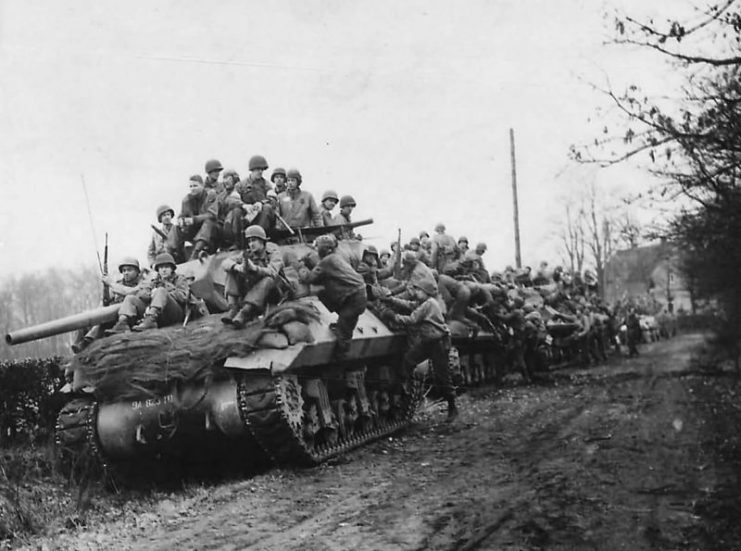 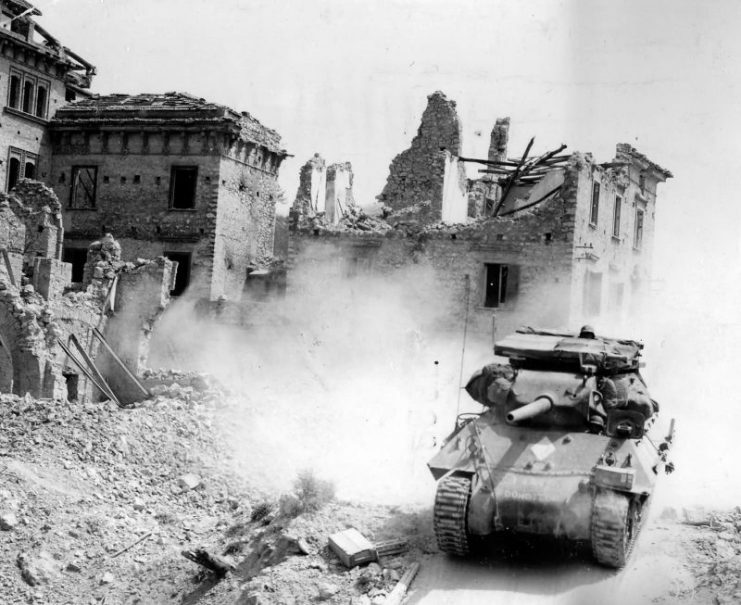 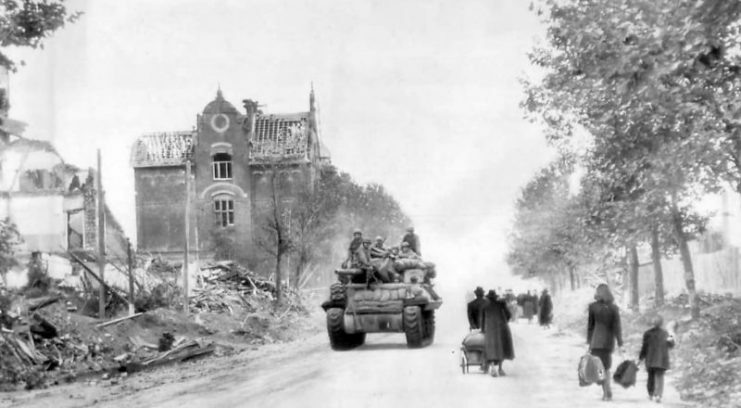 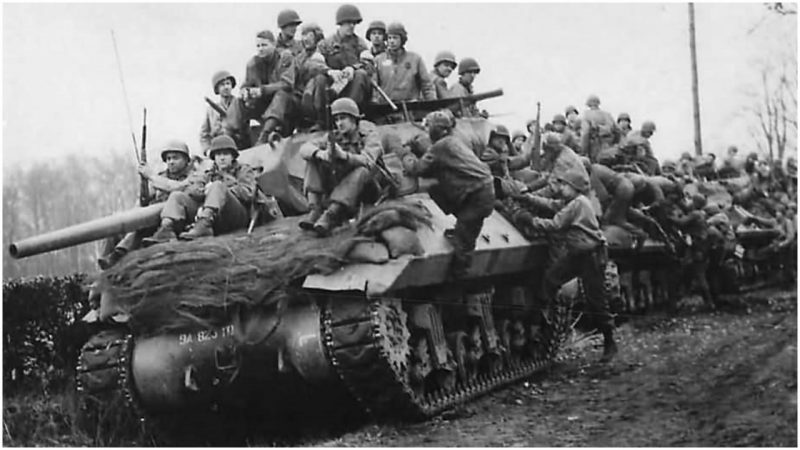 The answer to the armored menace which swept through Europe came in the form of a modified M4A2 Sherman chassis, on which a powerful 3-inch (76.2 mm) M7 gun was mounted. 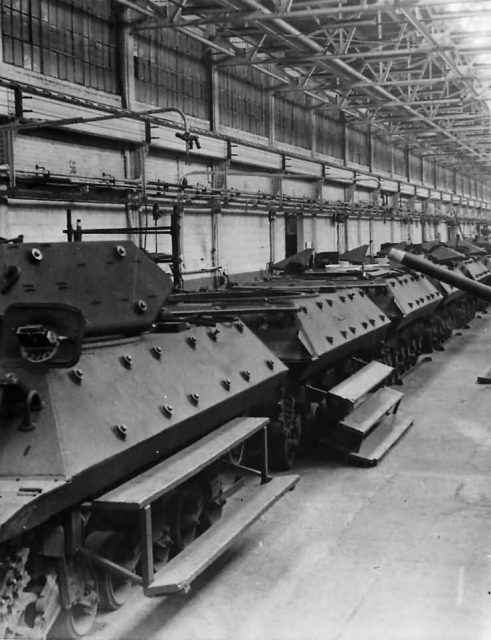 This was the birth of the Gun Motor Carriage M10. 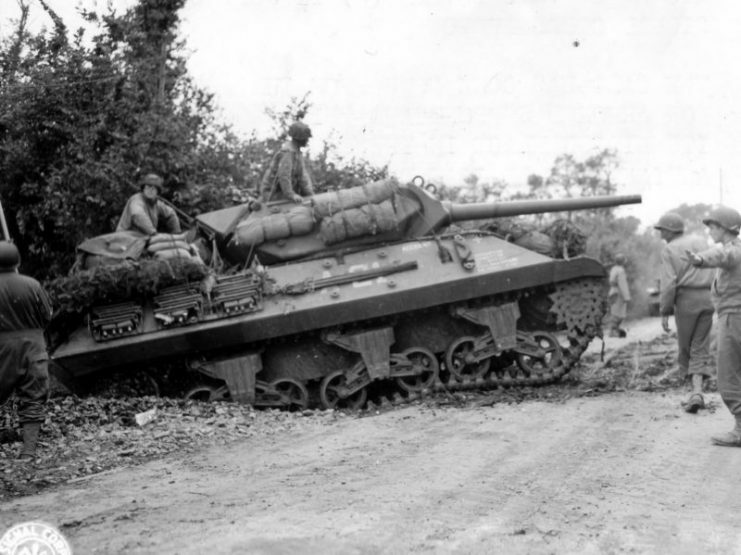 It soon became the most-produced American tank destroyer in WWII, numbering 6,406 units in all its variants. 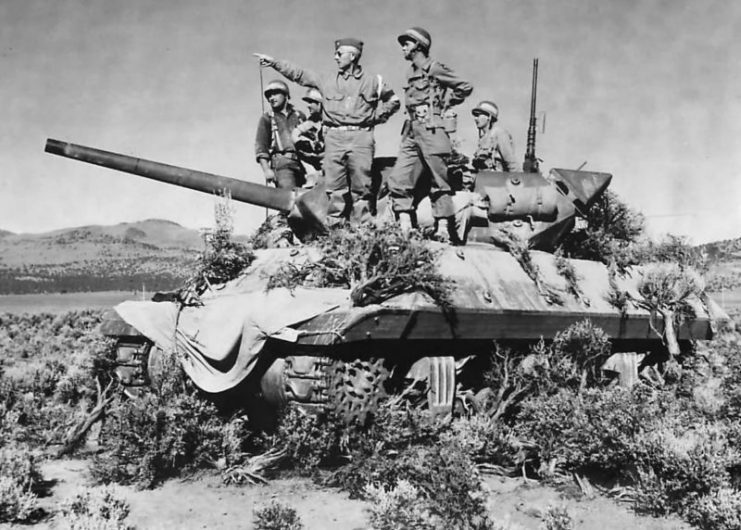 The M10 pioneered the path for the further development of tank destroyers, soon leading to the production of M18 Hellcat and M36 Jackson. 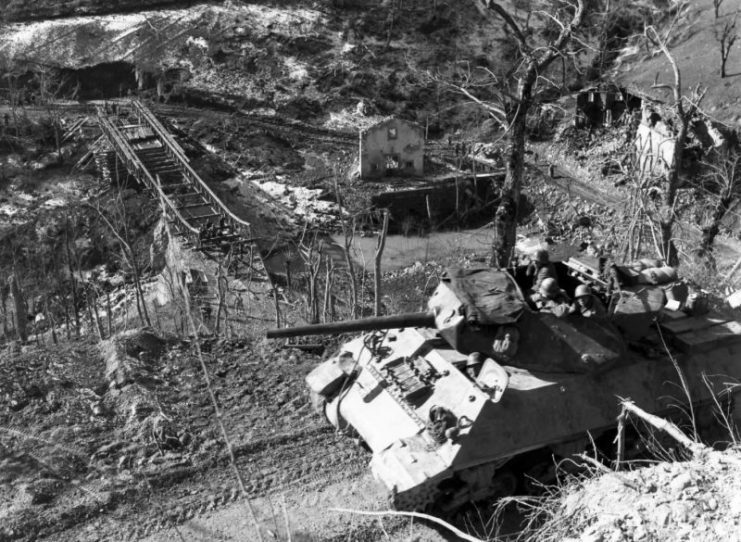 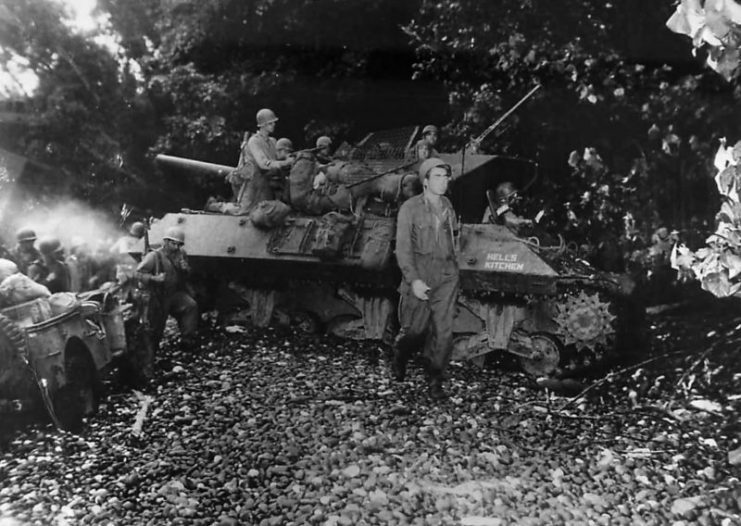 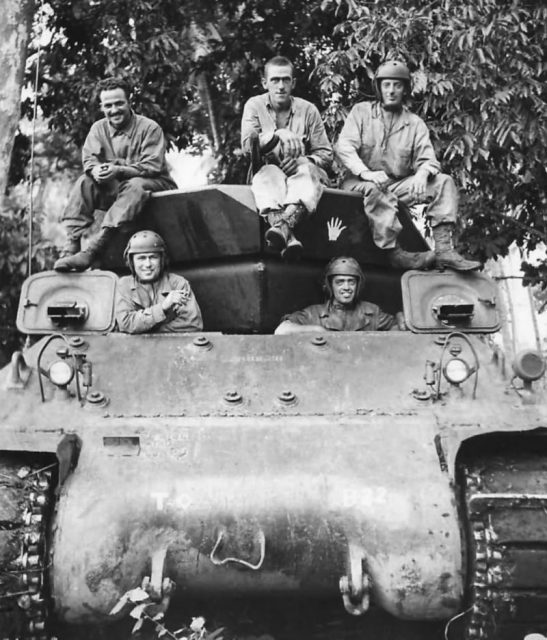 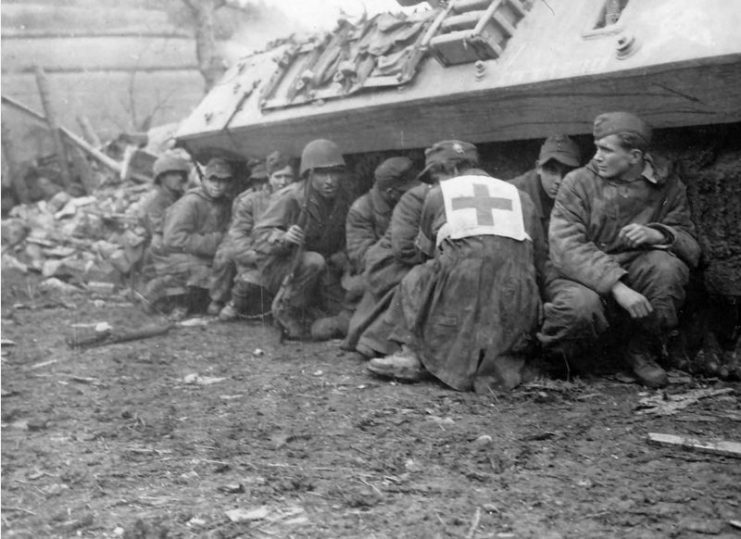 What constituted the main difference between the U.S. tank destroyers and a number of its counterparts at the time was its movable, yet open-topped turret. 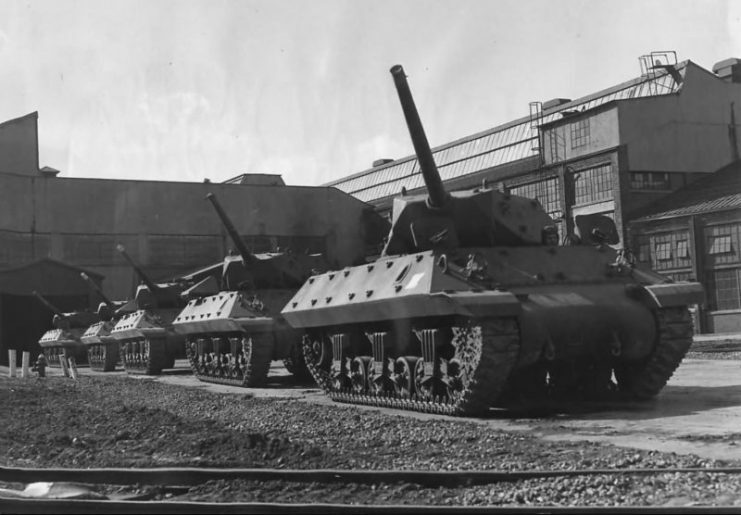 By European standards, this would put the M10 more into the tank category, as Soviet, German, and British tank destroyers all had a fixed gun, and no turret, making their silhouette lower and more suitable for defensive actions. 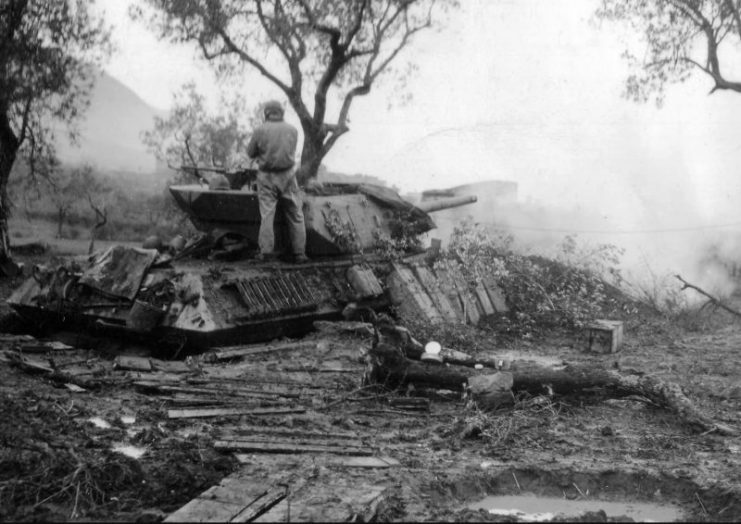 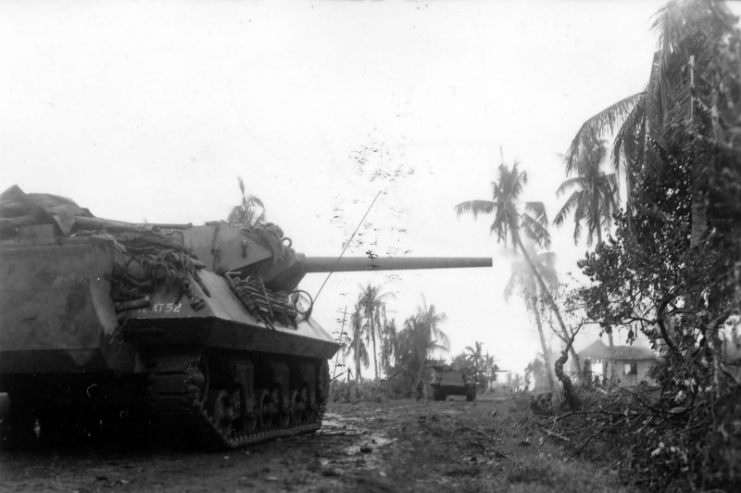 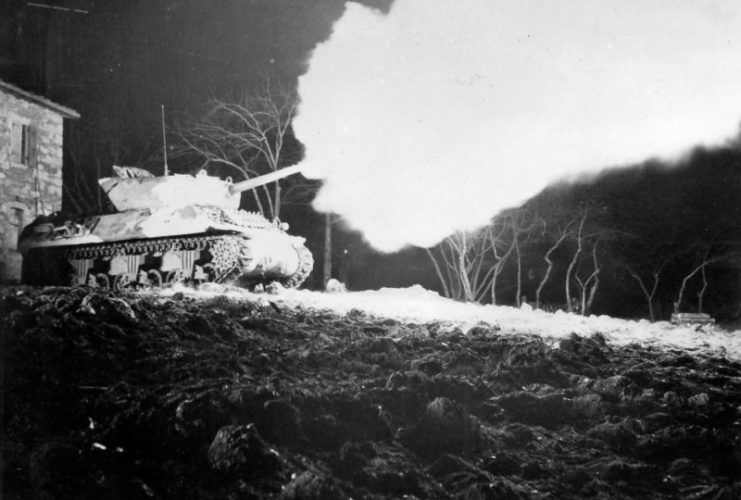 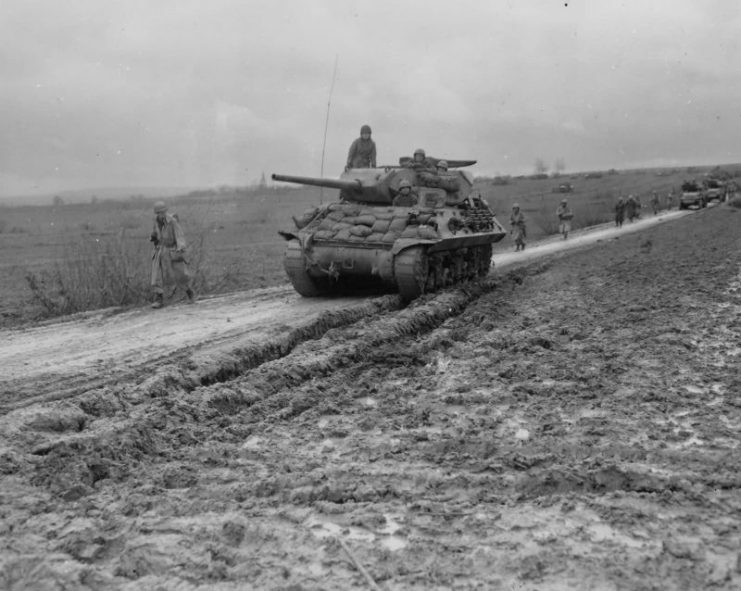 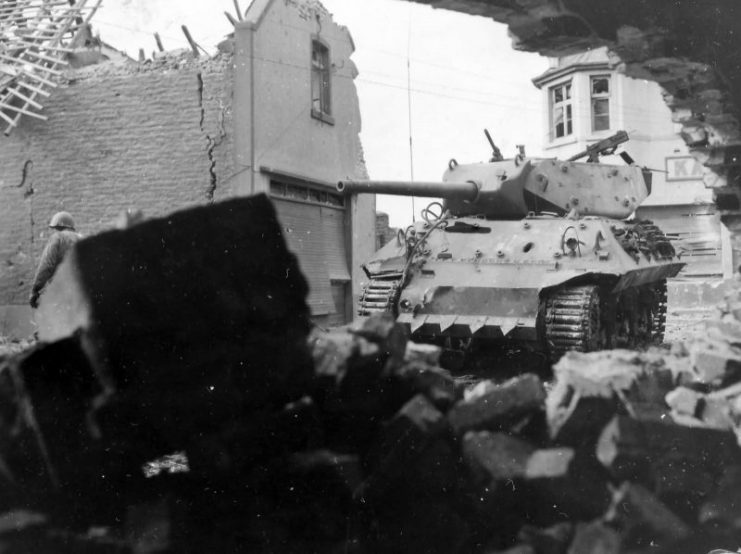 However, the American Tank Destroyer doctrine demanded more maneuverability for its armored fighting vehicles, as they perceived the M10 as a hybrid weapon capable of staging effective ambushes, knocking down panzers from a great distance and ravaging enemy flanks in offensive actions. 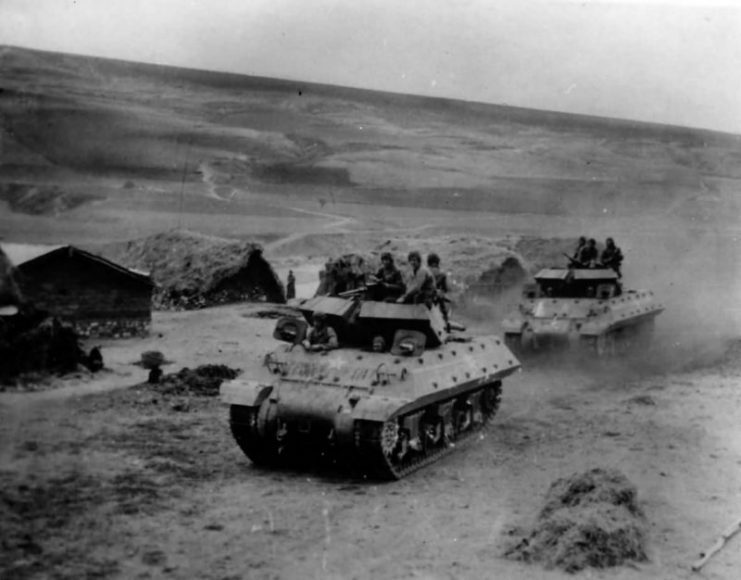 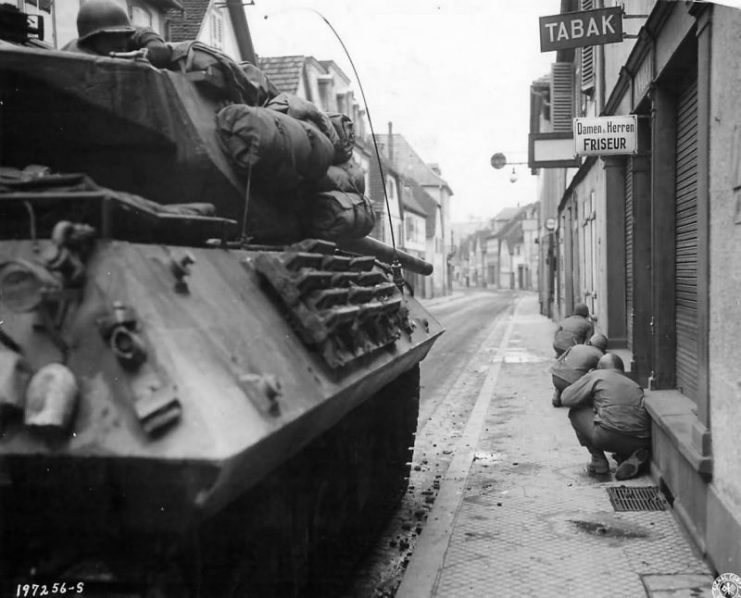 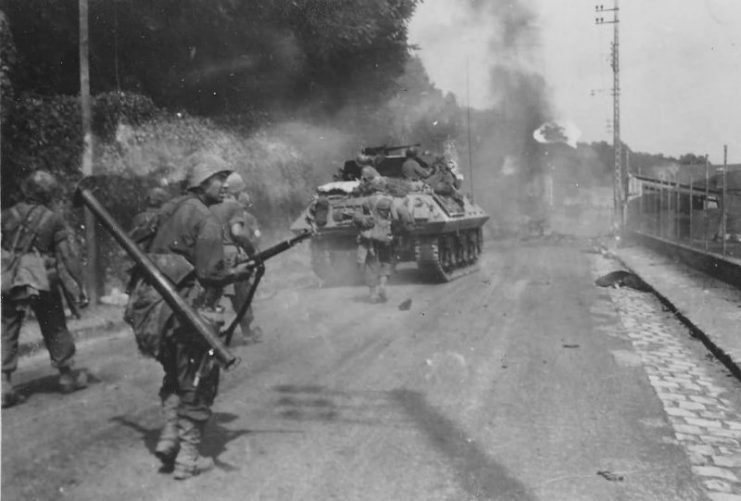 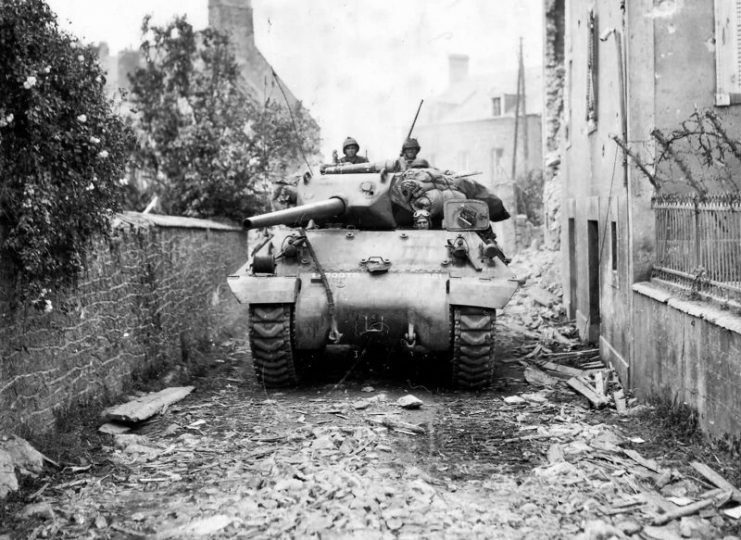 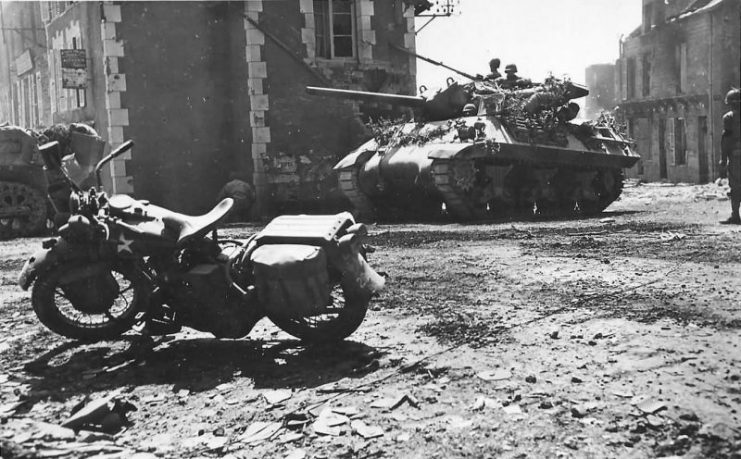 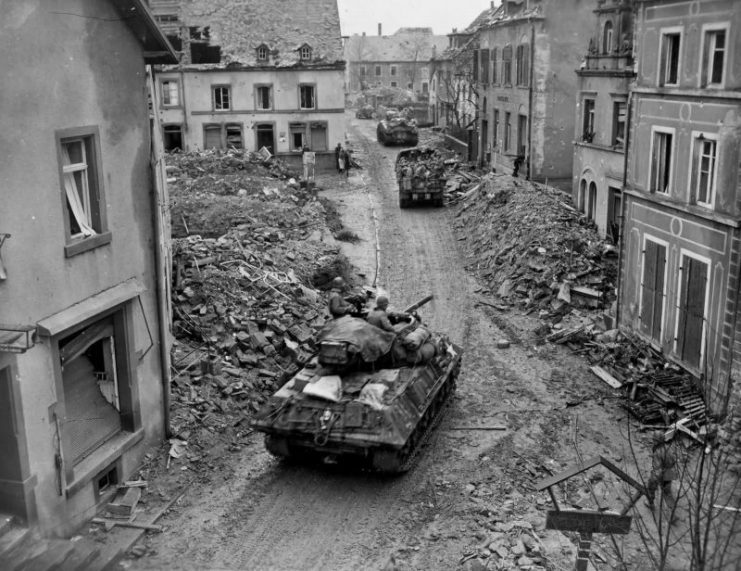 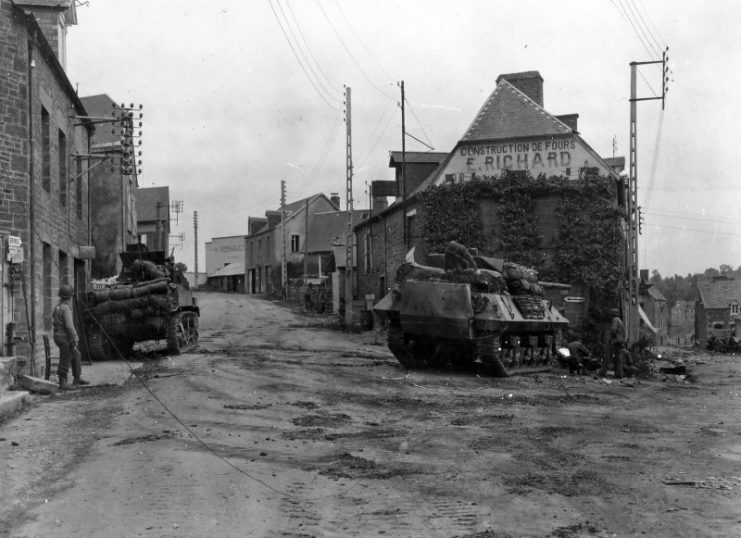 Although the U.S. Army was the primary user of the M10 saw active service as part of the British Army, the Free French Forces and the Soviet Union via the Lend-Lease policy. 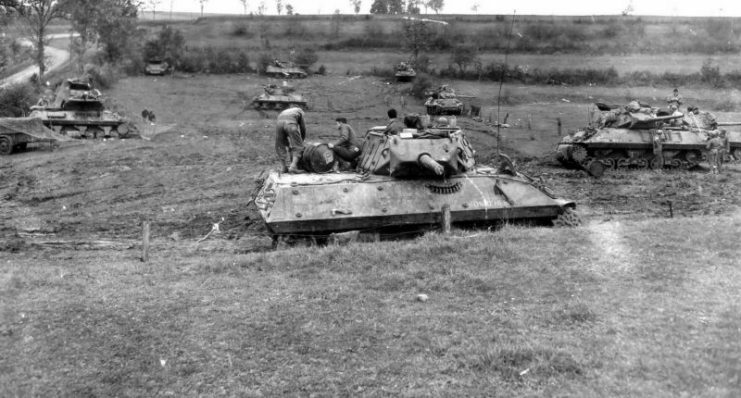 After the war, a great number of M10 Tank Destroyers became surplus and these were given to countries that needed to re-develop their militaries, such as Belgium, Denmark, and the Netherlands. 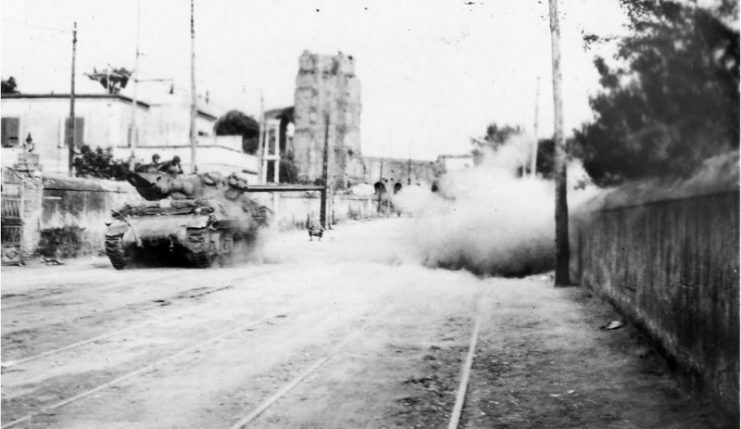 During the 1948 Arab-Israeli War, the M10 saw further action, serving as part of the Israeli military, who bought a number of M10s from scrapyards and dumping grounds in Europe. 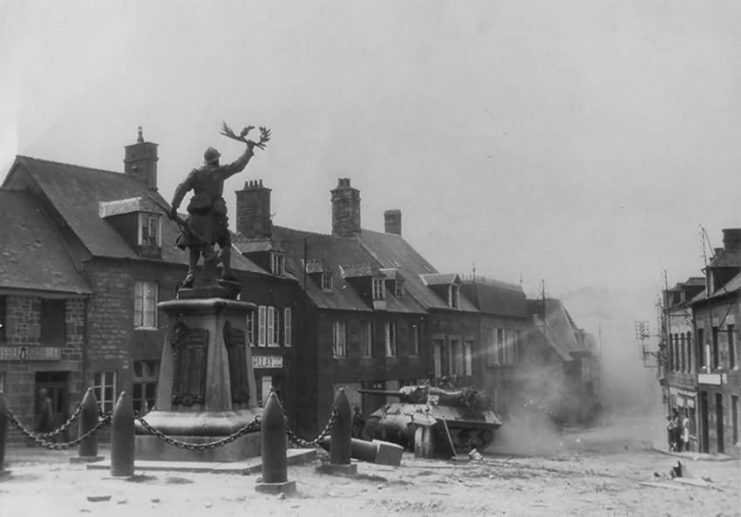 The guns were soon replaced with British 17-pounders and French 75 mm CN 75-50 canons. 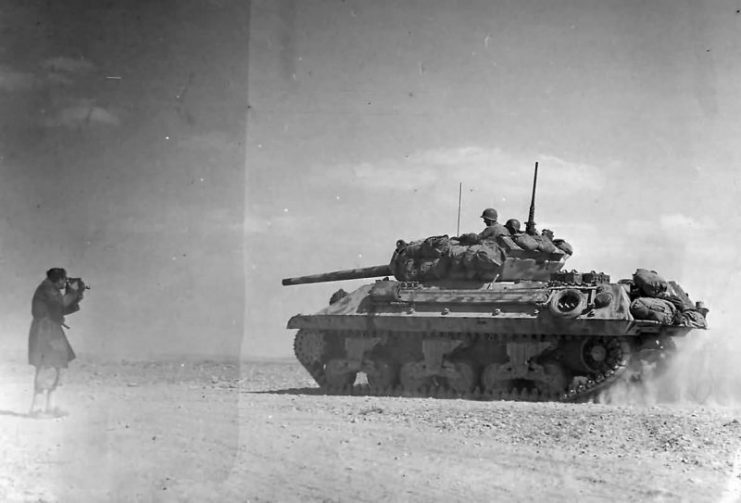 Tank Destroyer Heads To Battle Lines At Bir Marbott Pass East Of El Guettar In Tunisia 1943.